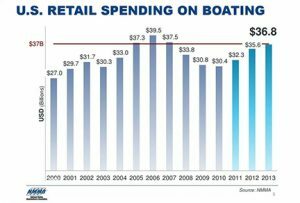 One thing you learn early in the boating business is there are those who believe they really don’t need to own a boat. Accordingly, our industry is one of the first to get hit during an economic slowdown and the last to recover once things are bubbling again. Such was the case in January 2008. At that time our country, as well as much of the world, was in financial chaos. The Great Recession wasn’t great at all….it was a nightmare! In all my years of operating a business I’d not lived through so many dark days as during the Great Recession. Over a period of many months, almost weekly I needed to meet with one of our team members to deliver the unpleasant news that they no longer had a job. Anyone that’s run a business knows that hiring and letting people go comes with the territory. That said, there’s nothing more gut wrenching than delivering such news, particularly when this occurs through no fault of the employee. Those experiences were painful, and the memories are still with me. Thankfully, the market has recovered, but interestingly, not fully. The level to which the maritime industry has recovered is quite a conundrum relative to where we were ten years ago. 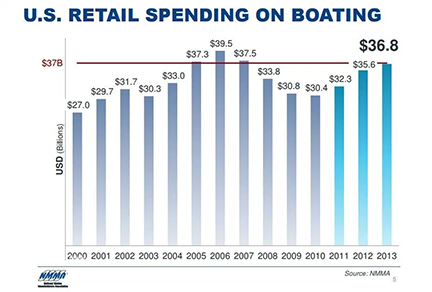 Whether it is the trend of millennials to rent rather than buy, or the increased costs of participating in our sport, or any other reason under the sun, the recreational boating market has not caught up to where we were before 2008. At the same time, other factors have slowed our recovery outside of consumer driven trends, the most significant being the shortage of skilled craftspeople. As you may be aware, the maritime industry at large had been struggling to find enough skilled craftspeople well before the Great Recession. Compounding this shortage are other factors, not the least of which is the cost of living in the Bay Area, which impedes every employer’s ability to recruit from outside the area. Thankfully we’ve been able to counter these obstacles, albeit incrementally. Over the past year we’ve added new members to our team and we expect this to continue. More than offering a competitive compensation package, we provide our team the opportunity to ply their trade over an impressive range of vessels. More importantly, our management team is committed to making KKMI’s work environment enjoyable, productive and professional. This allows us to attract the best and the brightest. So next time you’re at our Sausalito yard you’ll likely see Tim Lidgard, who rejoins us as a Project Manager. Joining him is Bryce LeFort, a graduate of the International Yacht Restoration School and formerly with the Spaulding Marine Center and then he worked with the best yacht restoration companies. In Pt. Richmond, our team has grown as well, with four new members in our woodworking, commissioning and Travelift crew. In reflecting what took place ten years ago, there’s no question the problems that caused such chaos were inevitable. Although our industry took a beating and the market we serve today is a very different one, we are still afloat. None of us want to relive those painful times again, but I believe that we’ve all learned some important lessons as a result. I know I have. It certainly causes one to appreciate the days when we are hiring, and when our customers are out enjoying their time on the water. 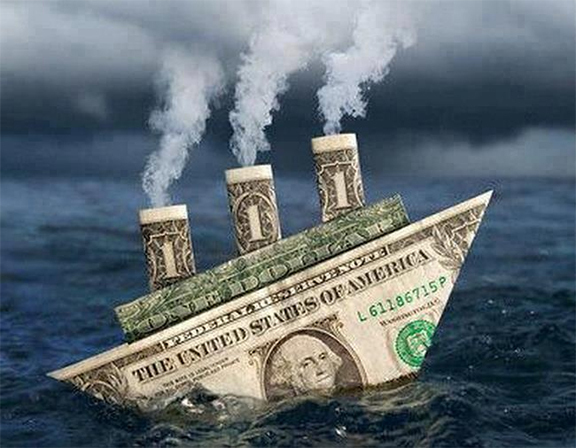 Which for most of us does cause us to believe….we really do need to own a boat. Looking forward to seeing you on the waterfront!